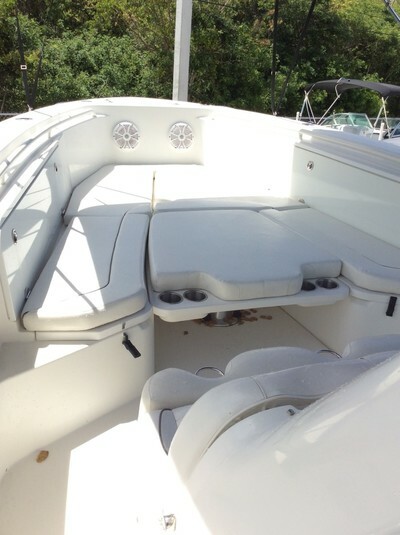 This boat has been meticulously maintained and cared for by its previous owners. 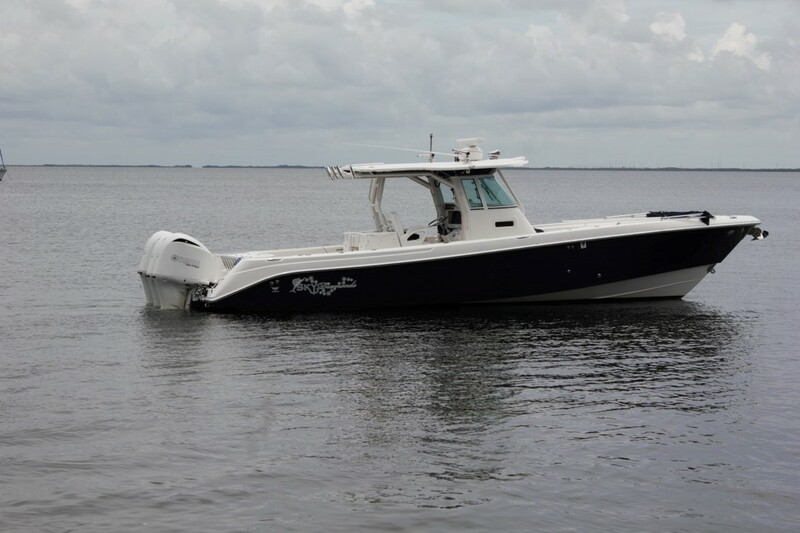 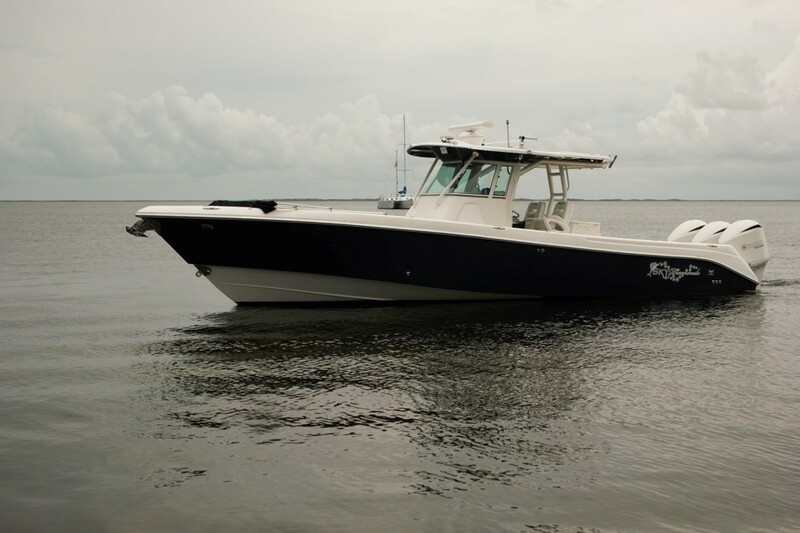 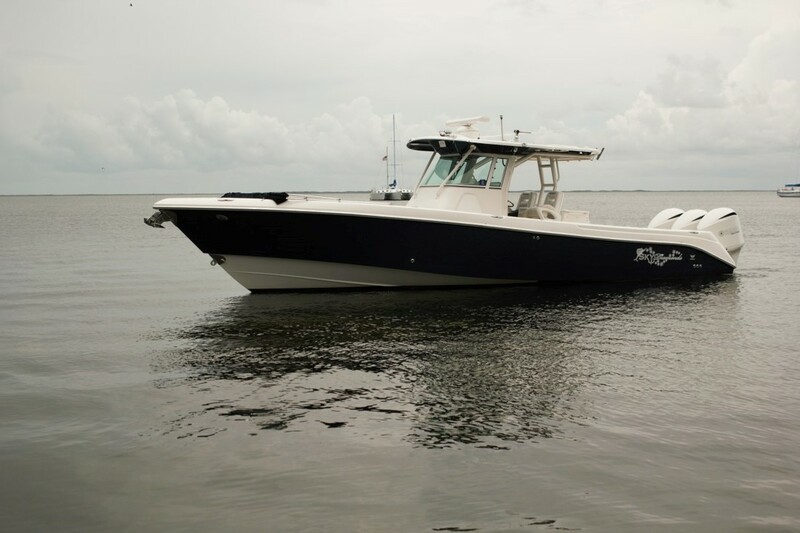 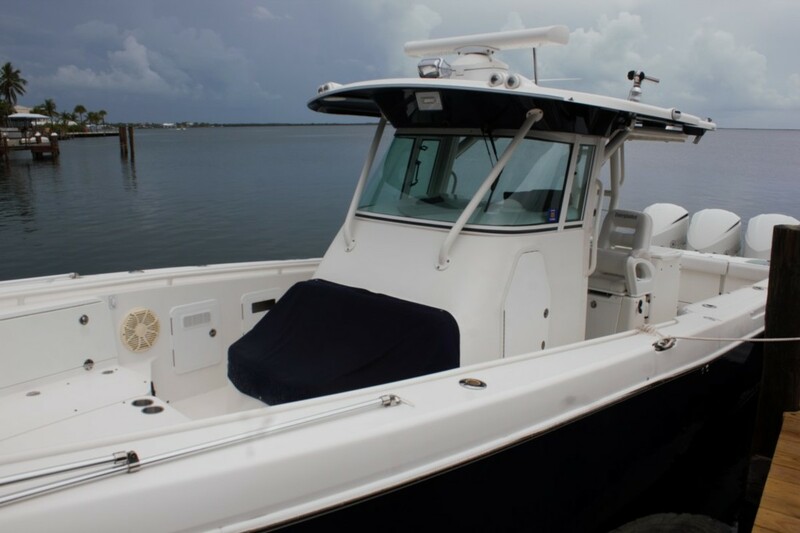 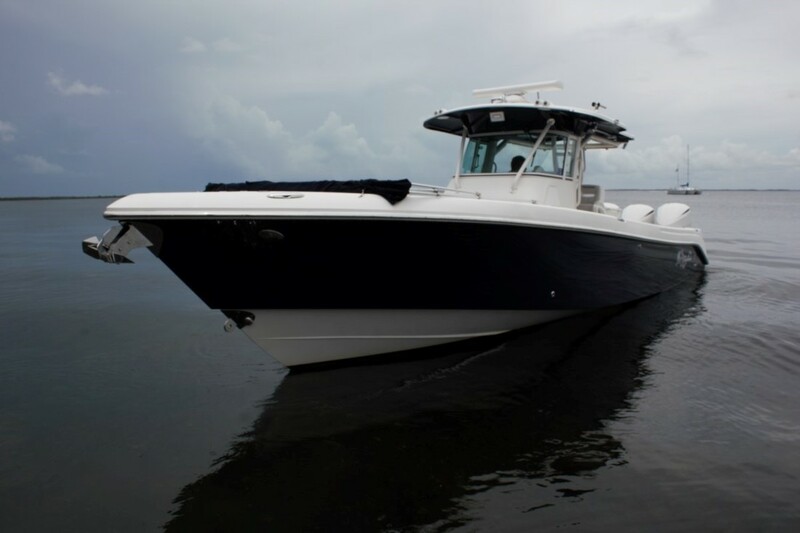 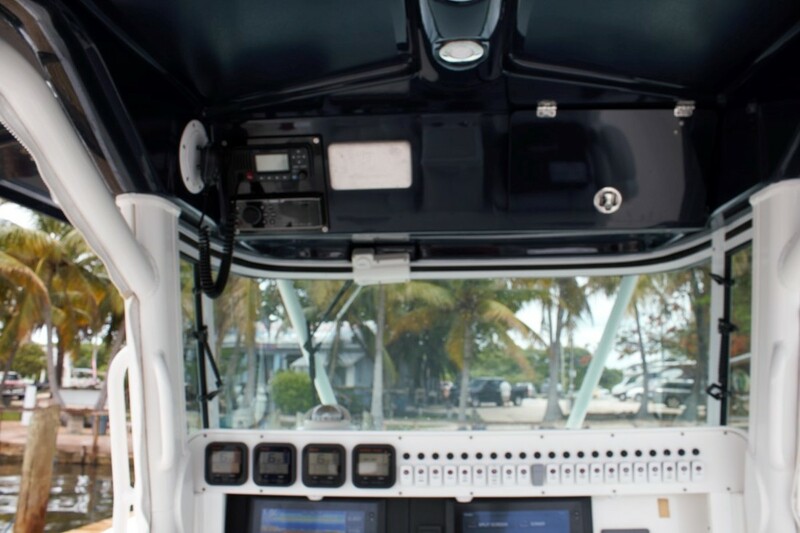 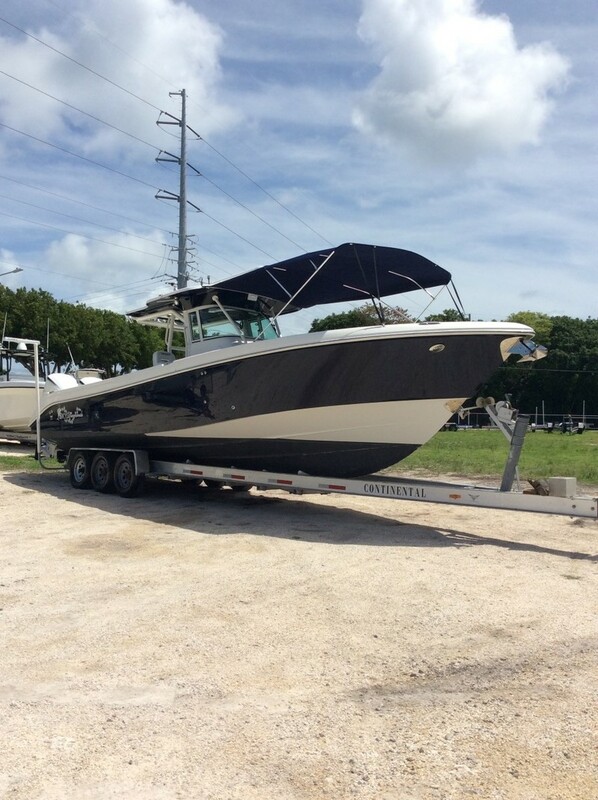 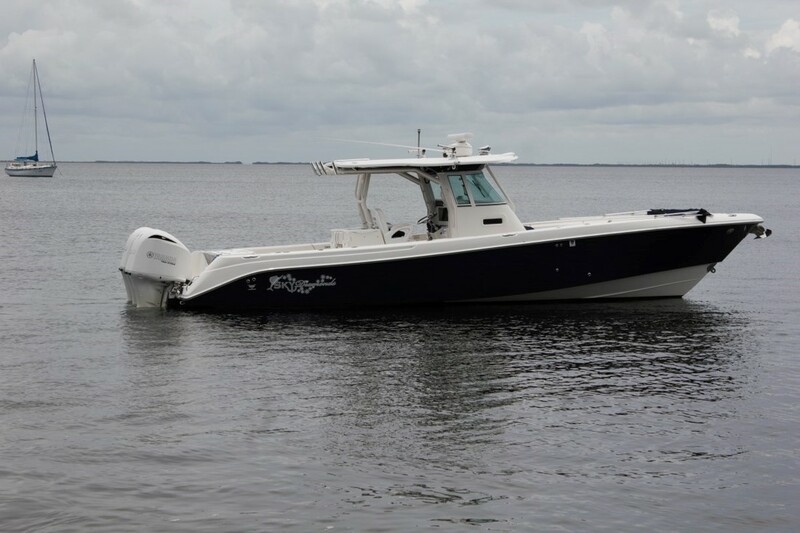 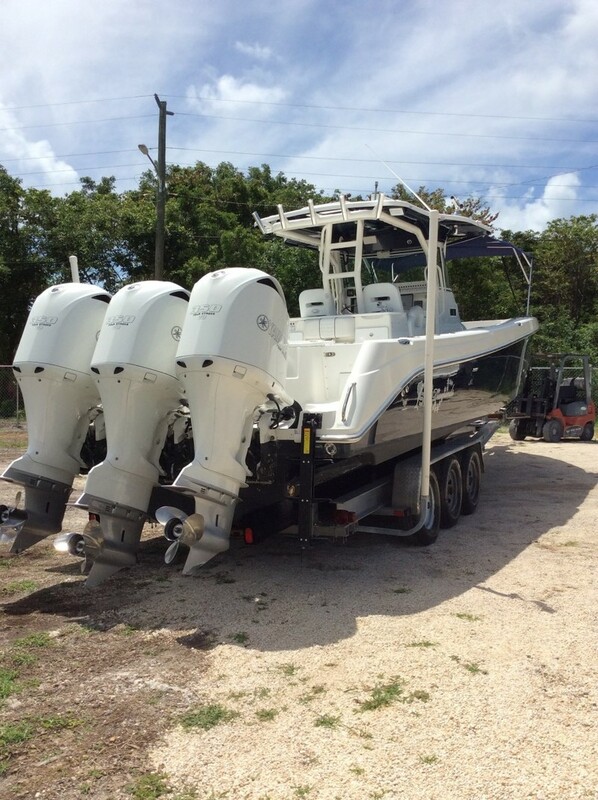 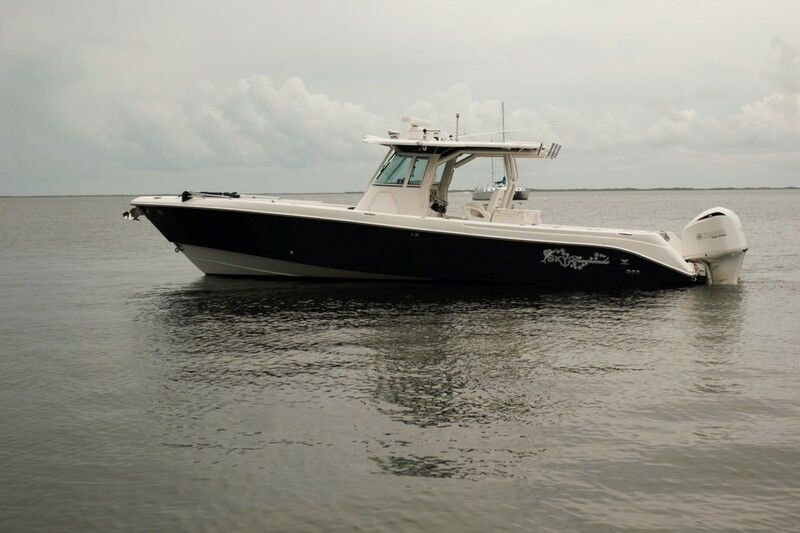 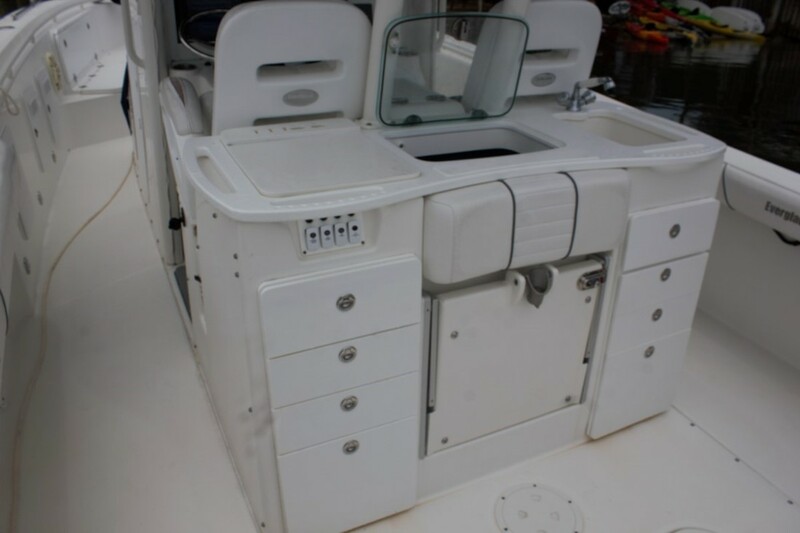 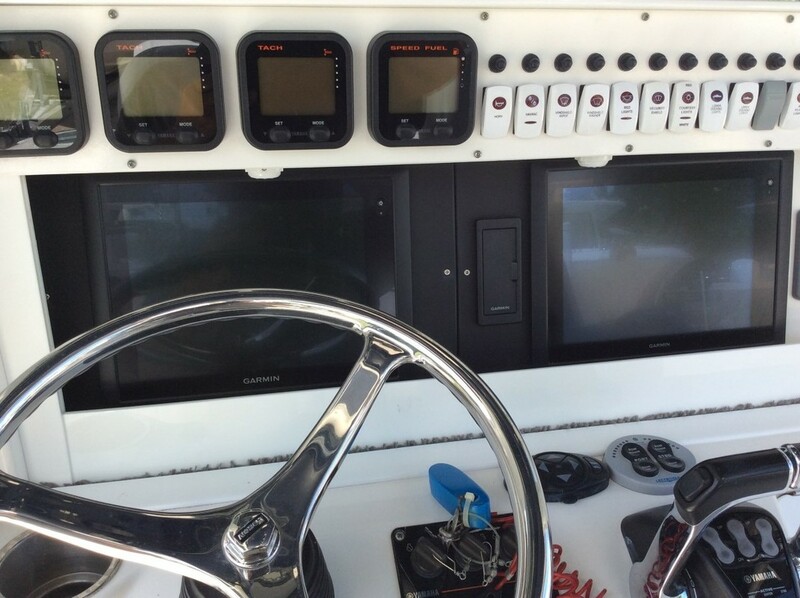 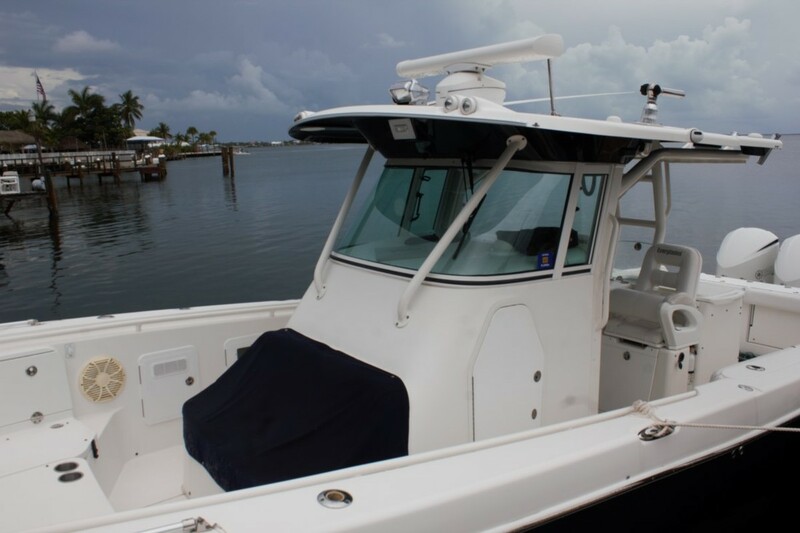 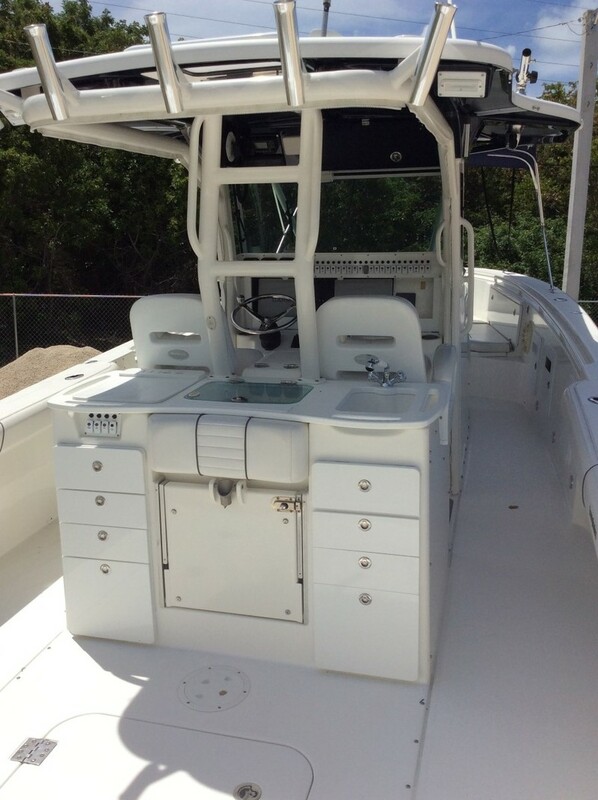 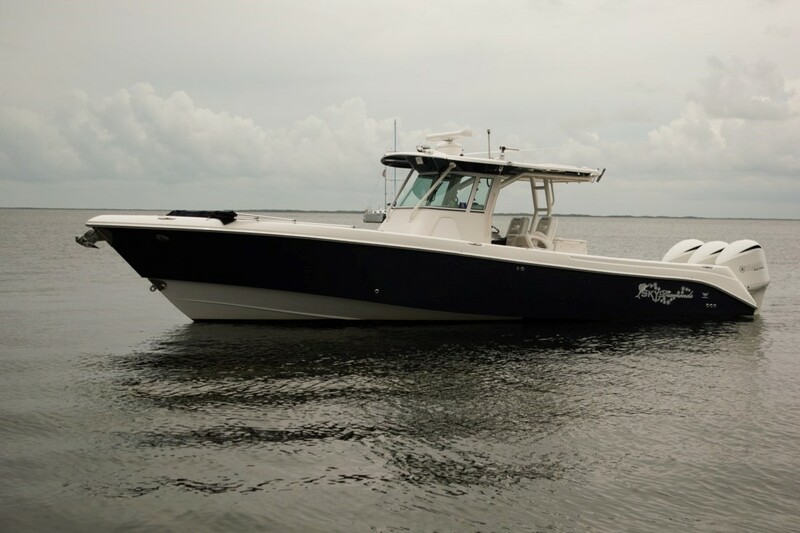 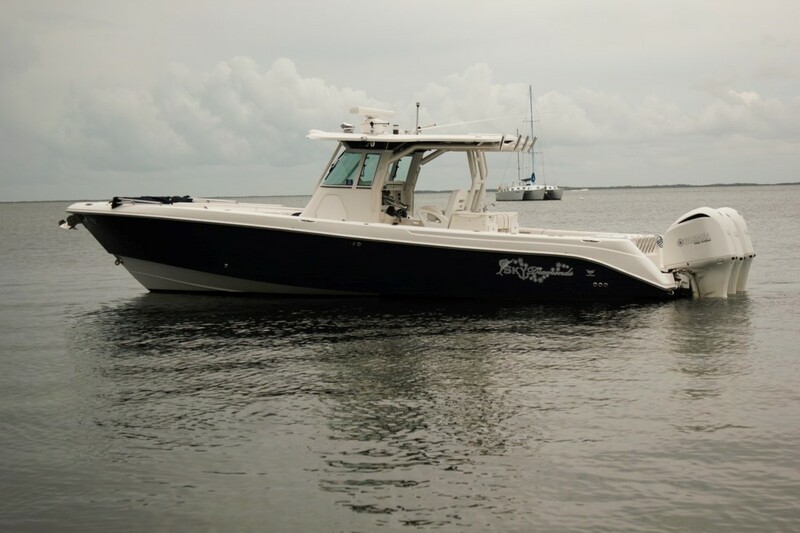 It had a refit less than 3 years ago by Everglades for the all new updated switch panel to the rocker style marine switches and updated the hard top with new powder coating, windshield seals and gaskets, wiper motor, ect. Then again 1yr ago all the Electronics were upgraded to the newest and latest Garmin Electronics. 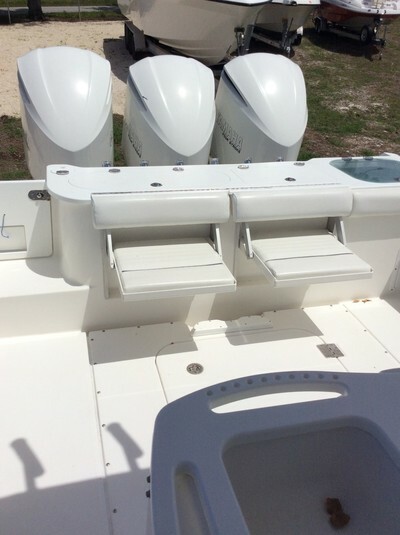 Motors meticulously maintained, serviced, and all updates completed. IF you are in the market for a Pre-Owned Everglades then THIS IS THE ONE! 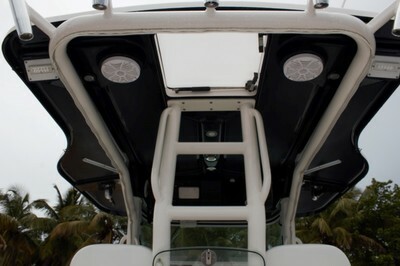 Everglades thinks of everything and this boat has it all! 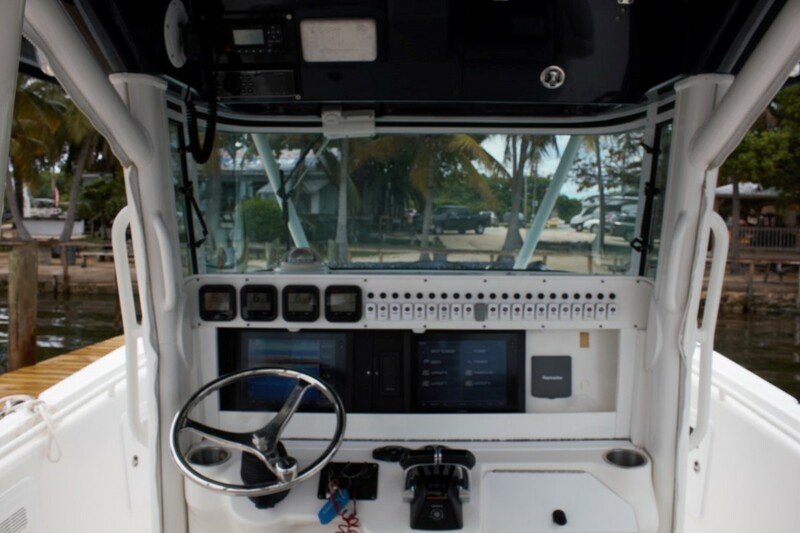 IF your looking at any High End center console such as HydraSports, Intrepid, Grady White, Pursuit, Boston Whaler, Intrepid, Sea Vee, Deep Impact, Yellowfin, Contender ect. 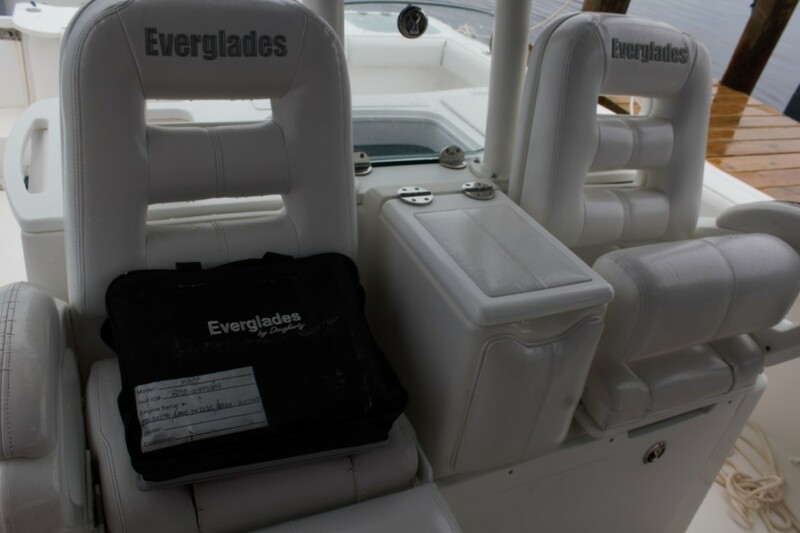 do yourself a favor and take a look at this EVERGLADES! 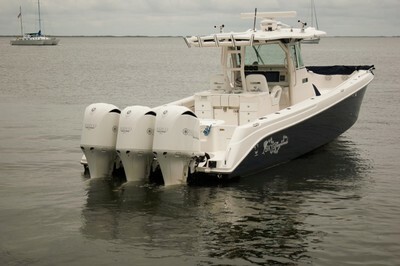 The 350CC is unsurpassed as an offshore fishing and boating machine. 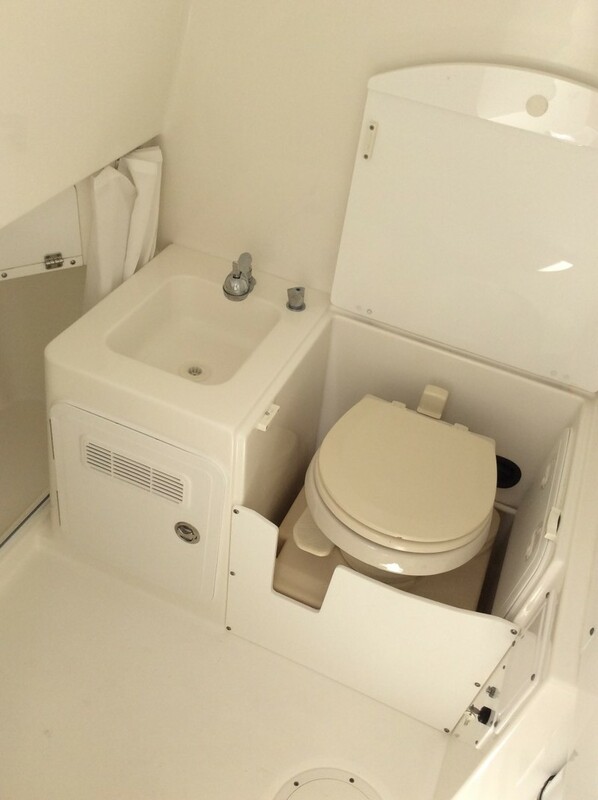 With a large cockpit, it is spacious enough for friends and family, and the fully finished storage compartments are cleverly tucked away throughout, so storage is never an issue. For anglers this boat is flat-out loaded! 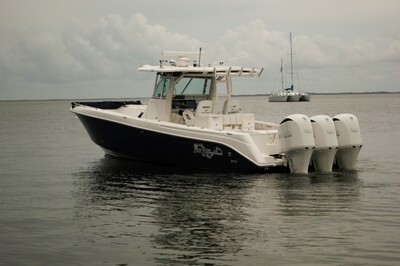 The 350CC is also loaded when it comes to style and comfort. 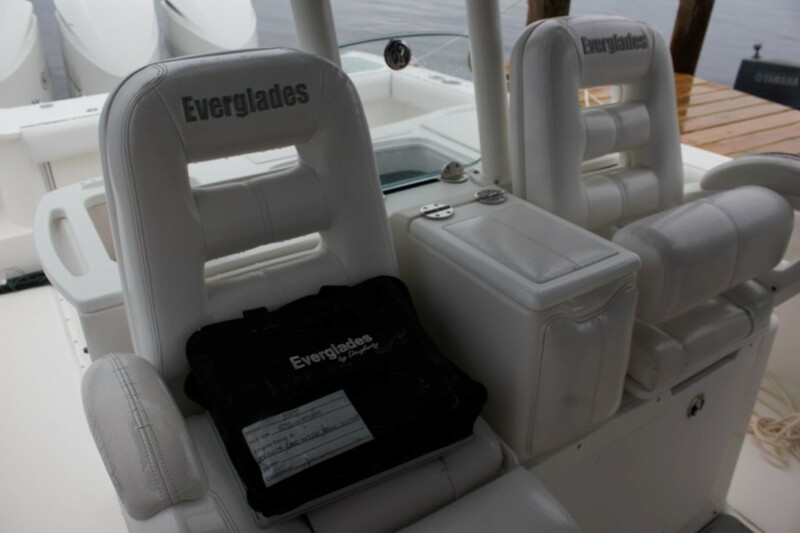 Dougherty-designed standards include a padded sun lounge in the bow that converts to a table at the push of a button, and a roomy head with pump out. 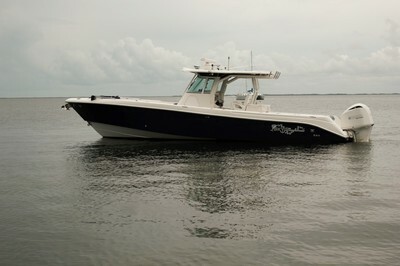 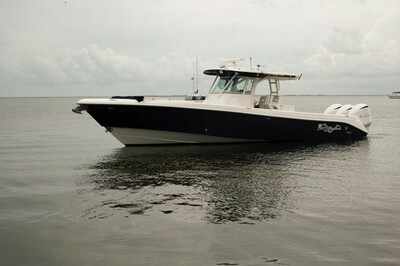 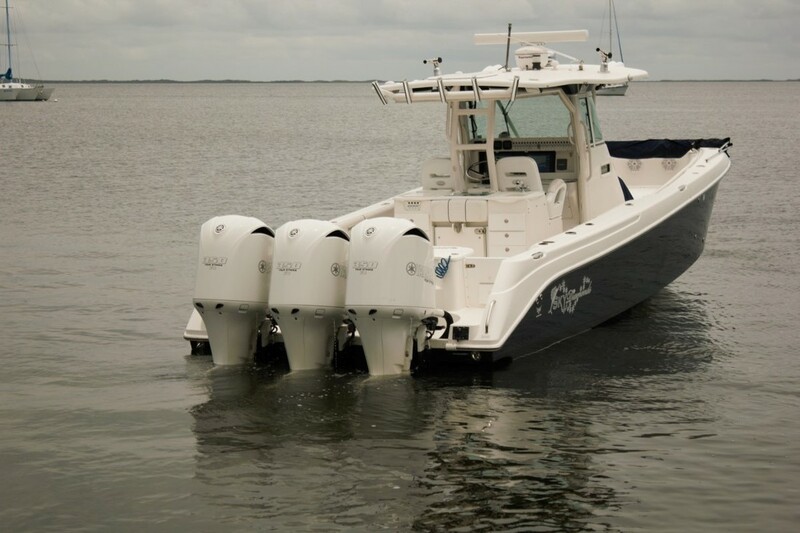 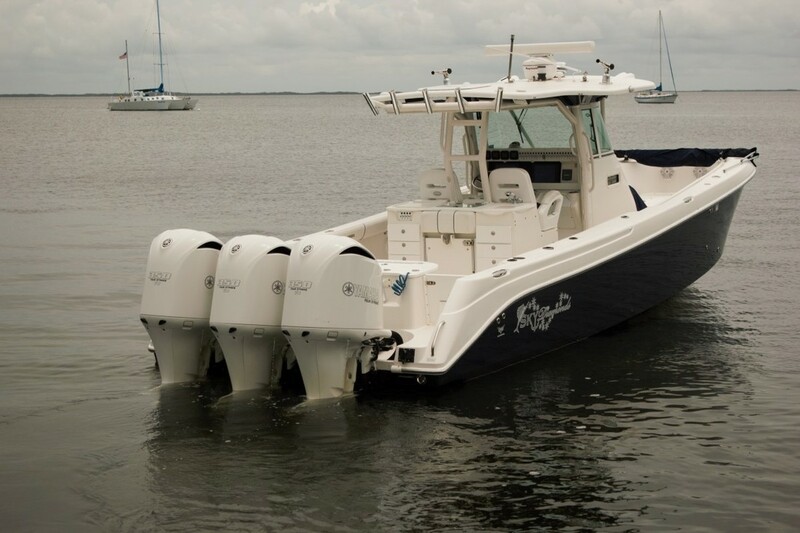 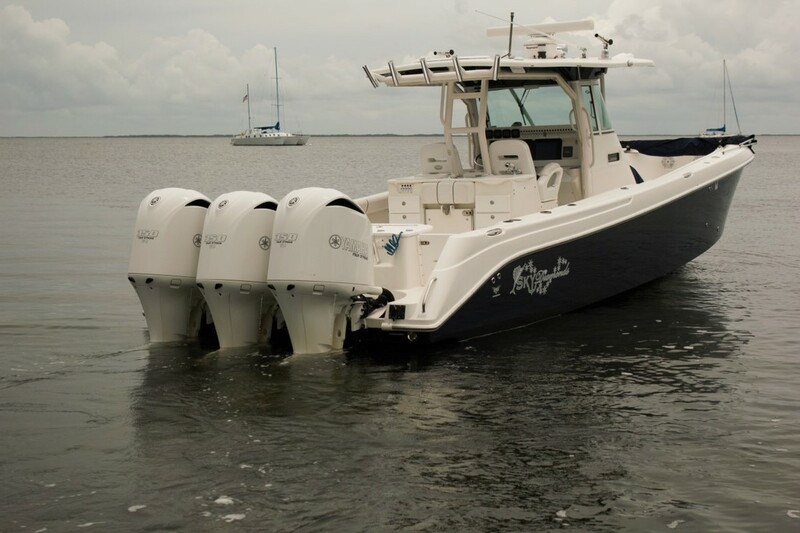 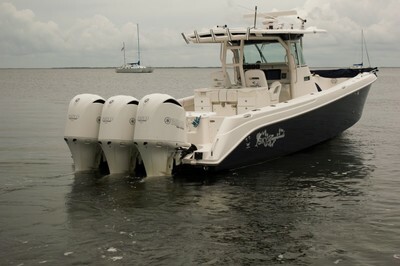 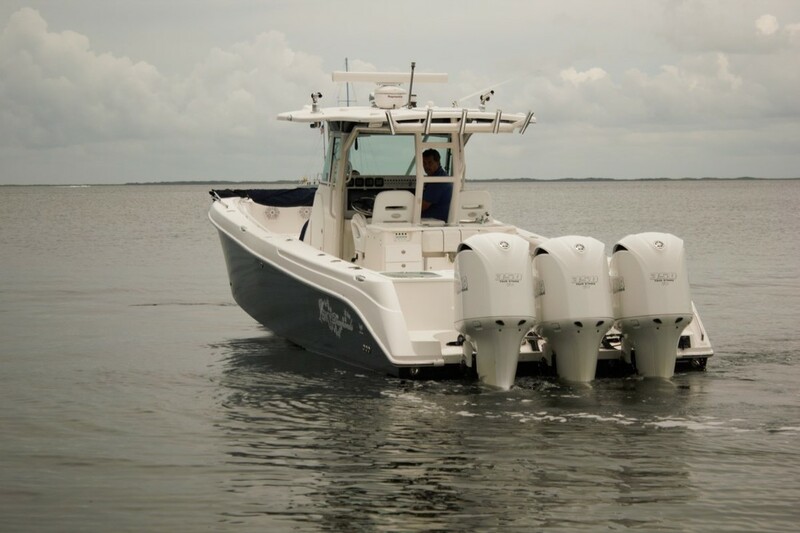 Like all Everglades boats, the 350CC sports a number of standards that are unique to the boat or available only as options on competitive models, including stainless steel cup holders, rod holders, steering wheel, and oversize pull-up cleats. 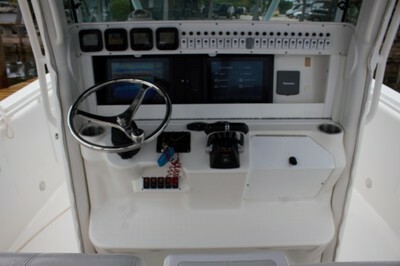 The 35-footer’s 151-square-foot cockpit area has space for fishermen; two fish boxes (310-quart aft and 247-quart starboard) facilitate the catch; and two lockers make room for tackle bags and rods. 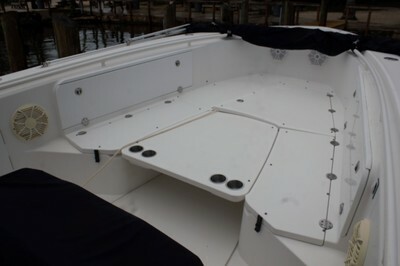 The bow seating area features an electric “filler” table that converts to a padded sun lounge when in the down position. Standard anchor windlass allows for faster retrieval of anchor drops compared to manual setups.